A Clemson University education is an excellent investment in your and/or your child's future. The financial aid staff are here to help you understand the various financial aid programs that are available and to work individually with those who face significant financial difficulties during their career at Clemson. Overall, 87 percent of our students receive some type of financial assistance – which includes state, federal and University awards. Please review this site for information about our merit scholarships, need-based grants, loans and work study. We are committed to providing the highest level of customer service to our students. For our currently enrolled students, you have several responsibilities as a recipient of financial aid, so please pay attention to the application process, deadlines and policies. 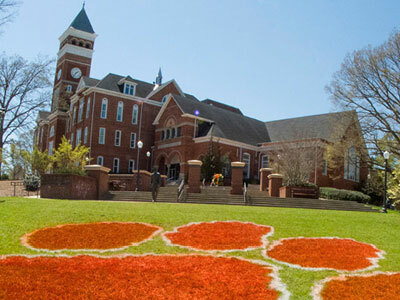 The Clemson University Office of Student Financial Aid exists to help students secure the funds necessary to pursue their educational goals at Clemson University through the administration and implementation of federal, state and institutional programs of financial assistance. If you have any questions during the process, please be sure to contact our office, and we will help however we can. The Academic Common Market has been discontinued for undergraduate students for the upcoming academic year. New graduate students can still apply if they are in eligible majors. 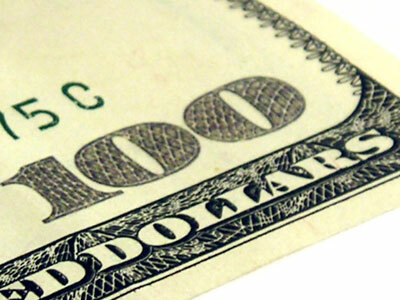 2019-20 Award Packages - Incoming freshmen students will be notified of their financial aid award packages by March 1, 2019. Continuing undergraduate, undergraduate transfer, and all graduate students will be notified of their financial aid packages in early June 2019. Two-factor authentication is required to access iROAR. Two-factor authentication asks individuals for a secondary confirmation of their identity at log in using a physical device, such as an app or text message on your phone. Clemson University will use Duo Security for two-factor authentication. Please visit 2fa.clemson.edu for more information and to sign up for Duo Security. Check out the new videos added to the Forms and Resources webpage. Citizenship and the Constitution — Please check out these videos from the Clemson University Constitution Day panel. They discuss the idea of citizenship and how it has changed over the course of U.S. history. Financial Literacy — The Office of Student Financial Aid has developed a Financial Literacy website which contains information about saving, budgeting, loan repayment options and more. Please check it out and all of the useful tools included. Financial Aid for Study Abroad Appointment Requests — We have recently updated the online Financial Aid Appointment Request for the Study Abroad Program form. Be aware, appointments book up fast during the fall semester so make sure to schedule one early. Navigating in iROAR — To view your bill: login to http://iROAR.clemson.edu and select the tab for Student Financial Services and then the following links: Optional Fees (to add a meal plan, etc.) or My Bill. To accept your aid: login to http://iROAR.clemson.edu and select the tab for Financial Aid and the following links: iROAR, Award, Award for Aid Year, Select the applicable "Financial Aid Year", Award Overview, Term and Conditions, and Accept Award Offer. Students Selected for Verification — We are currently processing all documents for verification and other information requests in the order they are received. Forms submitted by mail, email, fax, and drop off will show as received in your iROAR account approximately one week after documents arrive at our office. Please keep in mind that communications via email over the internet are not secure. To view outstanding and received documents, please log into your iROAR account and select the Eligibility section under the Financial Aid tab. We will complete the verification process within several weeks of receiving all requested documents. Financial Aid Tips & Advice from Clemson Students — A short video of tips and advice from Clemson students who have worked in the financial aid office.